Efes Pilsen continued to bolster their roster. Today the Turkish powerhouse announced the signing of Andrew Wisniewski (191-G-81, college: Centenary). The 28-year-old guard inked a one-year deal with the team. 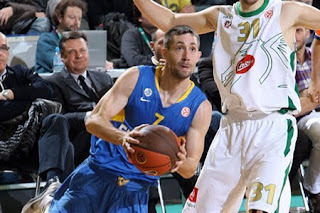 Last season Andrew Wisniewski played for Maccabi Tel-Aviv. He tallied 8.8 points, 2.8 rebounds, 2.6 assists and 1.3 steals per game in Euroleague. In Israeli league the guard notched 9.4 points, 3.3 assists, 2.6 boards and 1.3 steals per appearance.